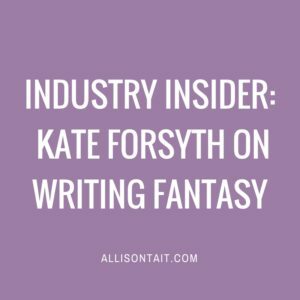 It’s been a while since I’ve had anyone over for a cuppa and a chat, and who better to begin the new year than Kate Forsyth, who just came in at number 22 on Booktopia’s list of Australia’s Top 50 Favourite Bloggers? 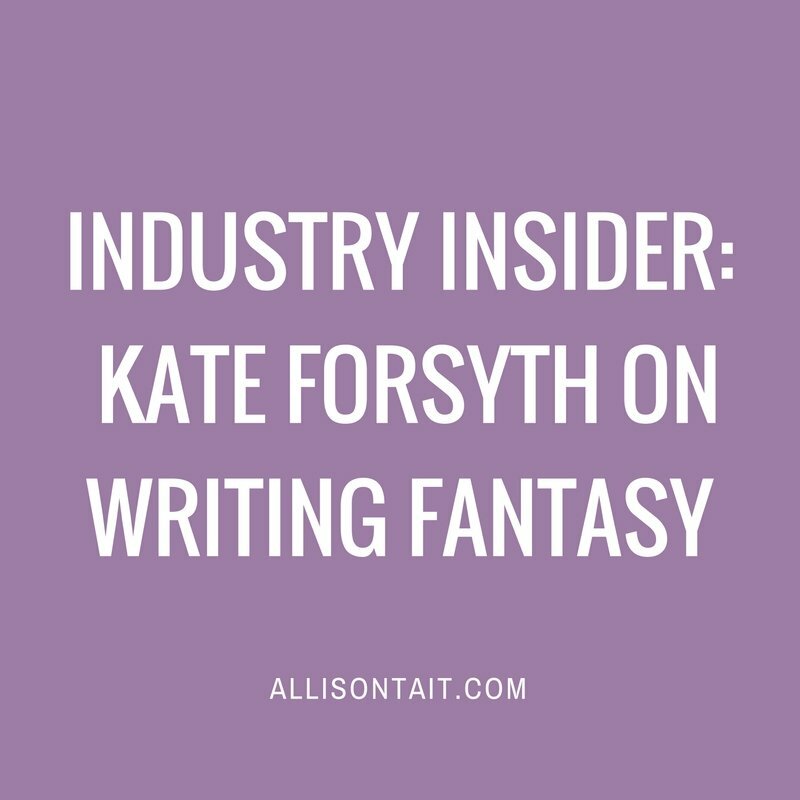 I remember seeing Kate speak several years ago at a Romance Writers’ Conference, and being in awe of her ability to talk sensibly about world-building and characterisation. 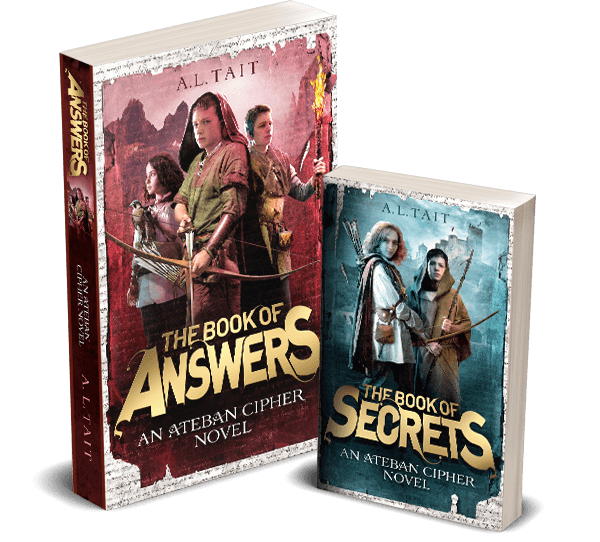 Her fantasy and historical novels, for children and adults, are sweeping stories of epic proportions, in which readers truly enter a different world. And she makes it look easy. I met Kate again at an Australian Writers’ Centre lunch (she’s a presenter, I’m an online tutor) last year and nearly fell off my chair when she casually mentioned that she’s written more than 20 books. Egad! So I thought I’d best get her in here to find out exactly how she does it. AT: You’ve written more than 20 books across different genres – adult, children’s, poetry – but much of your work has been in the area of fantasy – what is it that drew you to fantasy in the first place? When you first began writing fantasy, it wasn’t overly fashionable, but it seems to me that that has changed – why do you think that has happened? KF: “I don’t actually agree with you there. When my first fantasy novel, Dragonclaw, was published in June 1997, I was luck enough to catch a massive tidal wave of interest in fantasy. Robert Jordan, Tad Williams and Robin Hobb were all selling strongly, and the first Harry Potter book was published in the same month as mine. My timing couldn’t have been better if I had planned it that way. “It is true fantasy fiction had languished a little in the 1980s, when lit-grit ruled, but by the late 1990s it was very popular. Australian authors such as Sara Douglass had already proved that Australians were prepared to buy up local fantasy titles in a big way (as long as they were good!). Why was fantasy so hot then (and now)? I believe it is because readers had got so tired of self-referential post-modernist texts and were longing for a return to narrative. Crime and romance and other strong narrative genres also became very popular around that time, and continue to sell very well. 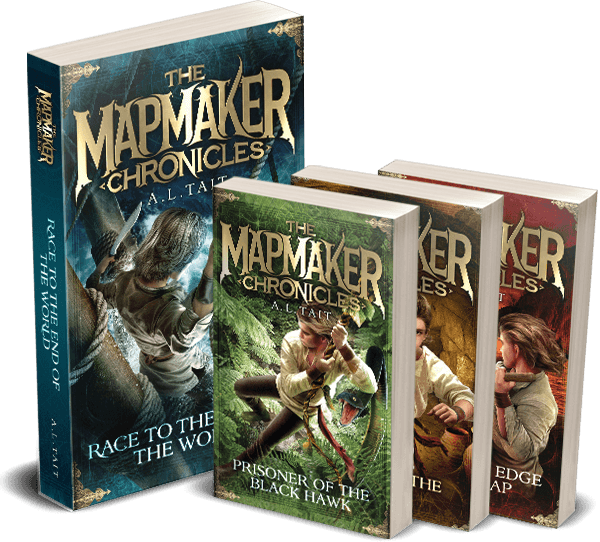 What are the core elements of a fantasy novel? Where do you begin when you’re writing one – world building, character? Your new novel, The Wild Girl (out April 2013), is not fantasy, but still has its roots in fairytales, an area of strong interest for you. Do fairytales still have a place in a world where facts and information are so much a part of our daily life? Last question, how do you write so many books? Do you have a strict writing schedule? Visit Kate Forsyth on Twitter, Facebook or at her website. She is also a prolific reviewer on GoodReads, and a worthy follow for any bookworm.